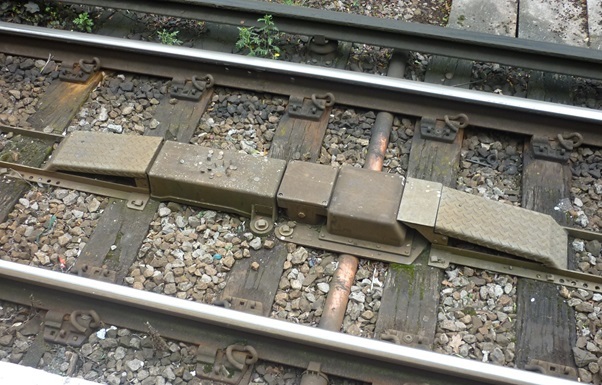 This looks like just another track magnet for train detection…. (Surbiton platform 1). 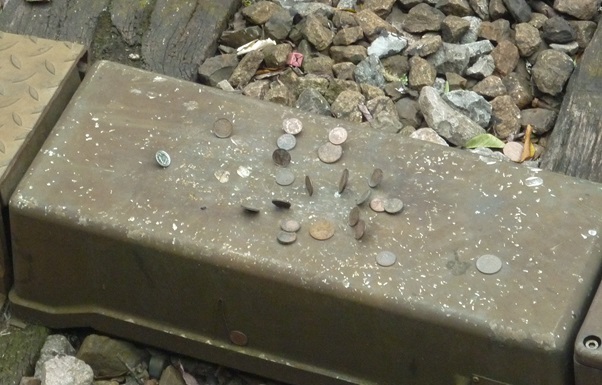 But look a bit closer at the magnet – try this in ‘N’ gauge if you dare! There must be too many rich people in Surbiton…. (Photos by Jon). This entry was posted in Prototype and tagged model railway, railway. Bookmark the permalink.